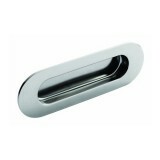 We stock an extensive range of sliding door rails to suit a variety of doors, styles and interiors. Our Henderson range will complement whichever style you desire, whether you're seeking a sliding door with a traditional rustic look or simply looking for a simple sliding door design, the Henderson range can accomodate you. 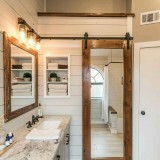 Top quality products like the Henderson Husky Door Rail and the Henderson Rustic Door Rail are sure to provide the highest quality you have come to expect from Murphy Larkin. 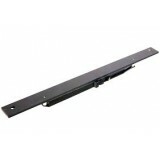 We Ship all our sliding door rails throughout Ireland & UK. 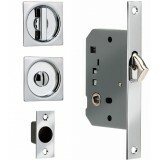 Ideal for sliding doors and pocket doors Recess handle Stainless Collection Satin (Matt) Sta..
All new modern design square sliding pocket door privacy lock that offers both fashion and high qual.. The Henderson Black Rustic 80 2 meter Track and roller kit is ideal for barn conversions, .. 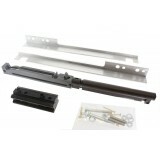 The Henderson Black Rustic 80 3 meter Track and roller kit is ideal for ba..
Fire rating The Marathon Fire Door Kit FDK1 with Self Closing System are systems develop..
BONCO KP3008ACP 82mm x 24mm x 15mm in depth. 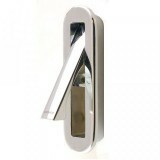 Satin silver flush fitting oval shape pull out edg..
Bifold B10 1067mm The Bifold range offers a stable, silent and smooth-opening folding system for ..
Husky & Pocket Door Soft Close door stop Soft stop for use with existing or new Husky 100 &..
Husky 100 Sliding 1.8mtr Track and Sliding Gear. With this option you can have the door sliding e..
Henderson Bi Folding set hHF40/30 Husky folding door gear for openings up to 3000mm wide using 4 doo.. Sliding Door track Husky 100 Sliding 2.4mtr Track and Sliding Gear With this option you can have ..
Sienna Henderson Stainless Steel Sliding 2 Meter Track and Sliding Gear. 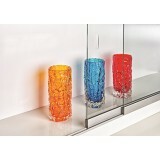 120KG Kit With..
Zenith Z12 1200mm The zenith is the perfect partner for any showcase, bookcase, display pane.. 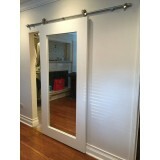 The PC Henderson Pocket Door is a unique sliding door solution that works with cavity walls, offerin.. 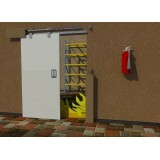 KIT ORDER CODE DOOR CONFIGUATION MAX HEIGHT MAX. DOOR WIDTH DOOR WEIGTH .. 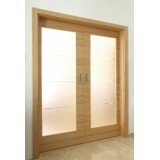 The Rustic Soft Close is a high quality accessory which catches the door in its final moments of tra..